Pakistani Nation is indeed going though a very tough time. Inflation, Terrorism, Corrupt Government are destroying the Pakistani Society. Another thing that is dividing the Pakistani nation is Extremism of two types one Religious Extremists and second Liberal Extremists. On one hand Religious Extremists are not even ready to condemn terrorist attacks of TTP and tries to bring justifications for it and on other hand Liberal Extremists talks about making Pakistan slave of United and separating Islam from Pakistan. This is causing a divide in the Pakistani Society that was not there a few years back but after incidents like Lal Masjid, TTP Terrorism and increasing American Infiltration the Society is dividing into Religious Extremists and Liberal Extremists. But If we see in the history Pakistan was not created for Liberal Extremism nor for Religious Extremism. Islamic Republic of Pakistan was created so can Muslims of Subcontinent should be able to live with freedom and follow their religion Islam. 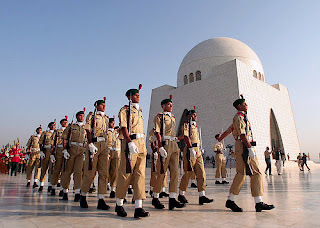 Pakistanis need to reject the Extremism of both types and bring back Pakistan of Quaid Azam.